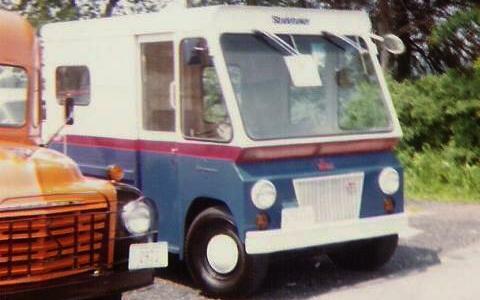 Studebaker built these neat little vans for the U.S. Postal service. Zip Vans were right hand drive and featured a sliding door for the driver. The body was manufactured by Met-Pro of Landsdale, Pennsylvania. Zip Vans used the 112 horsepower overhead valve "Skybolt" six that was an adaptation of the old Champion flathead engine. The Zip Van remained in production after other Studebaker civilian truck production ended in order to complete the government contract. 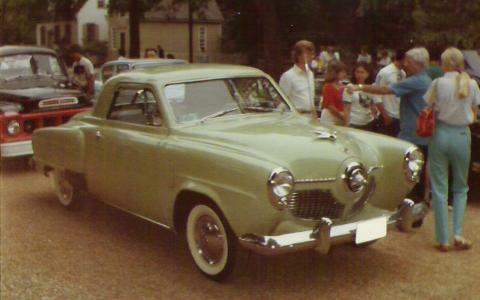 This picture was taken at a Studebaker meet in Gettysburg, Pennsylvania. Yes, that is a Studebaker school bus parked next to the Zip Van. 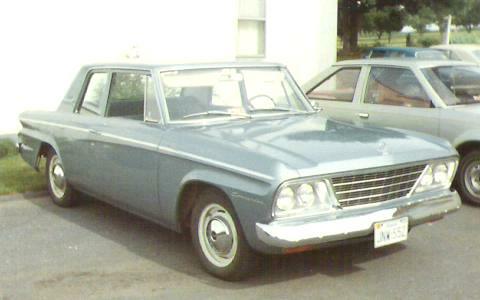 The main difference between 1965 and 1964 Studebakers lies under the hood. Shortly after shifting automobile production to Canada, Studebaker closed its South Bend foundry. This required that Studebaker purchase engines for its cars so Chevrolet six and eight cylinder engines were used for the final two years of production. These engines were supplied by McKinnon Industries of Canada which was a G.M. subsidiary. It is alleged that the McKinnon engines were "heavy duty" and thus "better" than standard Chevrolet engines. However, I do not know that to be fact. 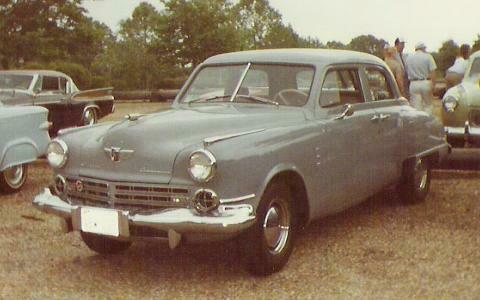 This picture of a very nice 1947 Commander 4-Door Sedan as taken at a Studebaker meet in Yorktown, Virginia. It can be identified as a 1947 model by the body colored molding on the front of the hood. This was changed to a heavy chrome molding for 1948. Commanders used a larger six cylinder engine than the Champion and were built on a longer wheelbase. This picture was taken at the same meet during a tour of Colonial Williamsburg. Only 3,763 Champion Business Coupes were made in 1951. This was also the last year that Studebaker made a business coupe. And it was the last year for the bullet nose. The Champion used the smaller Studebaker flathead six which displaced 170 cubic inches and was rated at 85 horsepower in 1951.